Organized by KIIT School of Electrical Engineering and sponsored by MNRE, Govt. of India, the Inaugural Function for the 2nd Batch of Skilled Development Program “SURYAMITRA” was held at Campus-3 on 29th January, 2019. At the outset, Welcome Address was given by Dr. M.R. Nayak, Director, Planning and Skill Development Program. Prof. (Dr.) C.K. 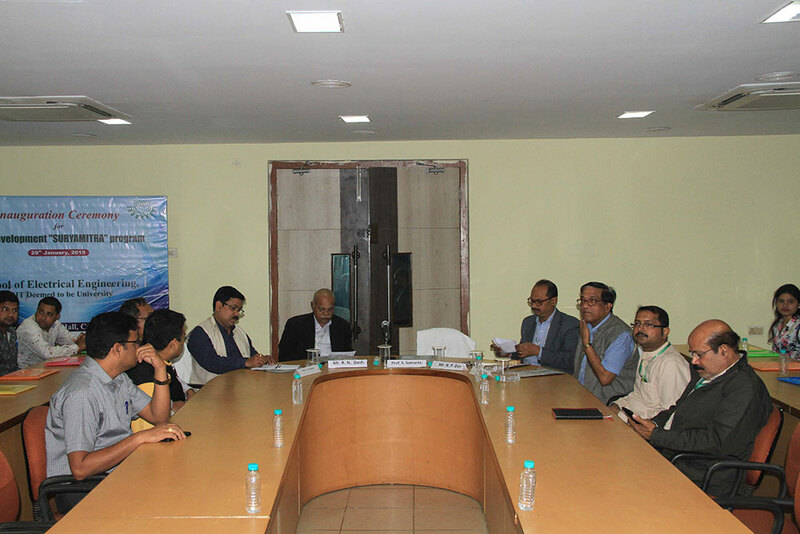 Panigrahi , Dean School of Electrical Engineering addressed the gathering on the importance of this Skill Training. He requested the Trainees to work cohesively and enhance the leadership quality to understand time management during the 3months of Skill Training Program. Mr. S. Chowdhuri, Director (Vocational) KISS also addressed the gathering about future perspectives of this Skill Training. Mr. R.N. Dash, Secretary and Advisor KIIT & KISS advised to become good human- beings and utilize all resources available in the KIIT School of Electrical Engineering. He appreciated the efforts taken by each trainers during the training program. Vote of Thanks was proposed by Dr. Gangadhar Mishra, Principal, ITC, KIIT.